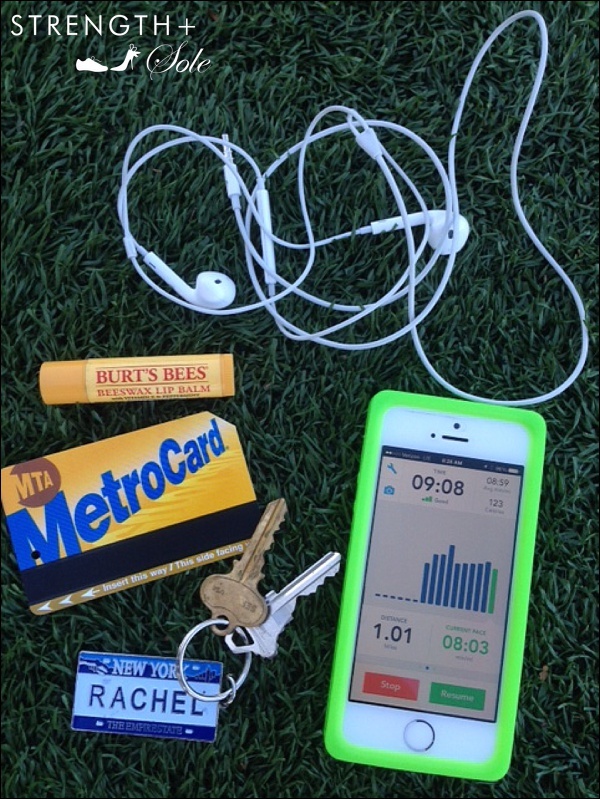 What do you do when your favorite capris don’t have a pocket big enough to carry your cash, keys, MetroCard, iPhone with earbuds and anything else that you need to get through your run? Or worse, no pocket at all? I used to stuff everything into a little zippered pouch and hold it in my hand, which inevitably felt more than a little annoying by the middle of my workout. But, now, I’ve got the FlipBelt. It’s big enough to hold all of my essentials–and, with no bounce. 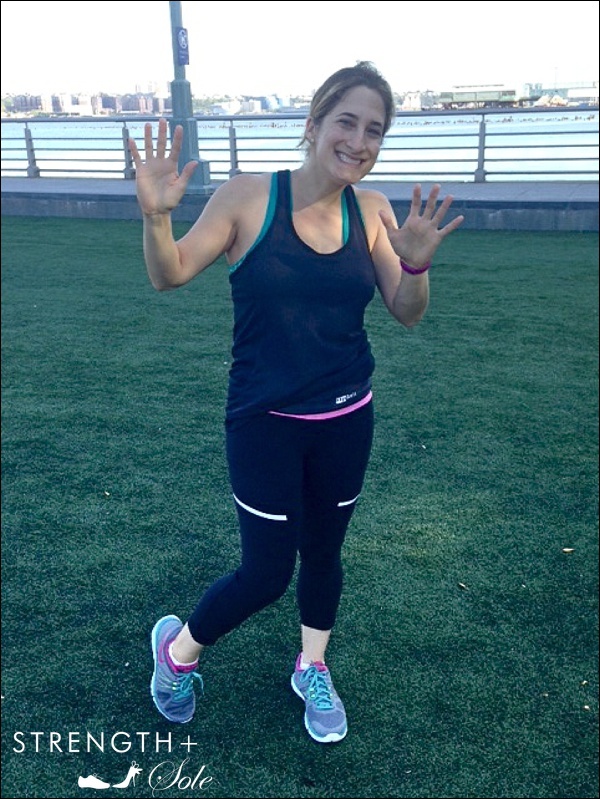 Unlike the traditional runner’s fanny pack, the FlipBelt isn’t a pouch on a strap (which rides up on your hips as you run, jump or squat), but, rather a tubular-shaped carry-all that sits snugly at the top of your capris or shorts, over or under your shirt. It comes in a range of colors, depending on whether you want it to make a statement or blend in with your outfit (mine’s Carbon). 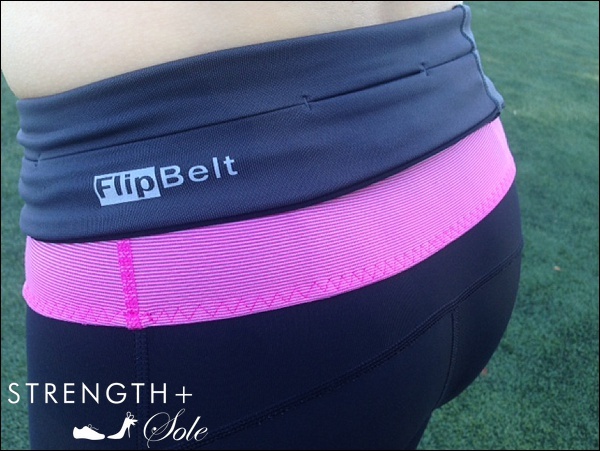 The FlipBelt has several openings, into which you can divide and insert your stuff. I put my iPhone into one and my keys in another. Before heading out, you flip over the belt, so that the openings are pressed against your body and then, hands-free! Grab yours–and get 10% off using the code sweat33 through September 7. All thoughts/assessments are my own. Very clever! I think I’ll get one. Keep running and writing; love your blog. I think it is great…about time..thanks for showing it.